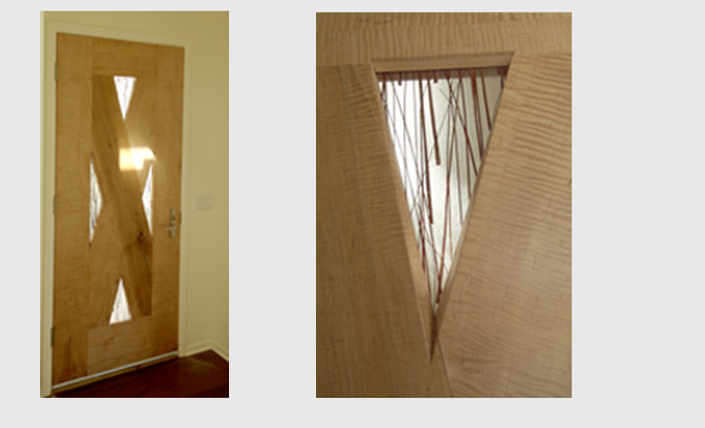 Mike Fair's beautiful craftsmanship demonstrated in this handmade front door. Mike Fair is a fabulous furniture maker. When he asked us to remodel his house, we were honored. Mike worked with us every step of the way to make his little culver city bungalow into something special. We added very little square footage, but the house opened up and seemed to grow grander with just a few simple changes. As often happens with remodels, at the beginning of construction, the problems with rot caused the contractor to remove much more of existing house than we expected, but happily it didn't cost much more. Mike, of course, did his own cabinetry.